Analyze, compare and compose 2D shapes with pattern blocks in bright, bold colour. 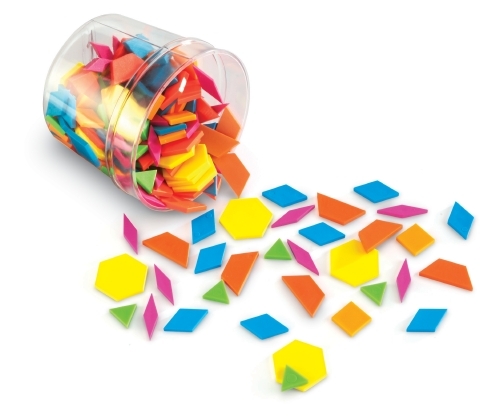 This set of 250 includes 6 shapes to help explore symmetry, area measurement and more! Blocks are 5 mm thick.